I studied clinical psychology in the Netherlands at Groningen en Utrecht public Universities. I did my internship in Italy in the ‘democratic psychiatry’ where I learned a lot about individual rights of patients in the psychiatric field. My expertise is in psychology as well as psychiatry. I have experience in the following fields: therapy for patients with brain damage; psychological consultancy in child services; diagnosis and treatment of the criminally insane, general short-term and long-term psychotherapy. 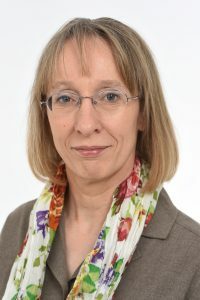 I have a number of years of experience in a specialised clinic for long term psychotherapy as the Head of Education for psychologists in training for their post-Master degree as a Mental Health Psychologist (the Dutch license for registration in the National Health Care Professionals Register, called the BIG-register). As a therapist I am a practical, down to earth person applying evidence-based cognitive behavioral techniques. I have also acquired knowledge and experience in a range of other evidence based methods from relaxation and mindfulness to short-termpsychodynamic therapy.